Marty Paul (left) accepting the initiative Award on behalf of Wintergreen Fund for Conservation. Patrik Durepos, Stephen Ouellet, and Daniel Ouellet accepting the award on behalf of LaRonde Little League. 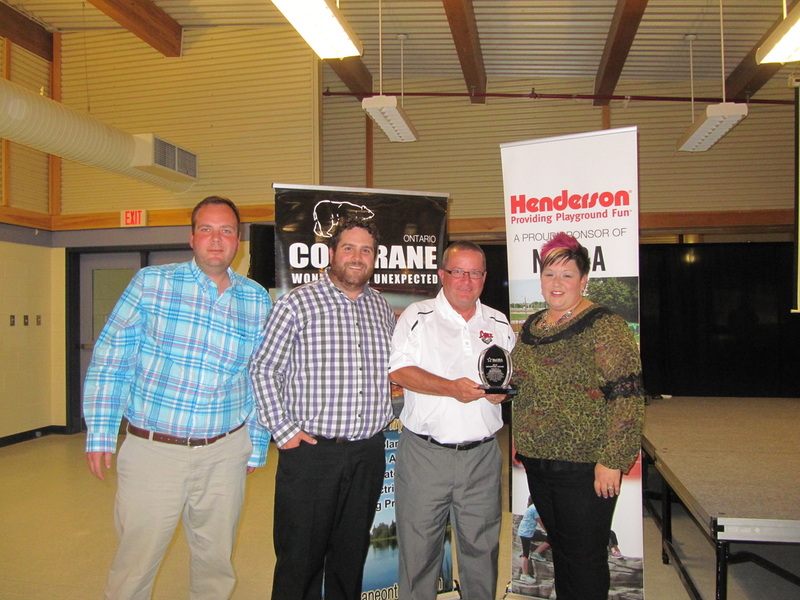 Patrick Losier (left) accepting the award on behalf of Noëlville Familiy Hockey Tournament Committee. 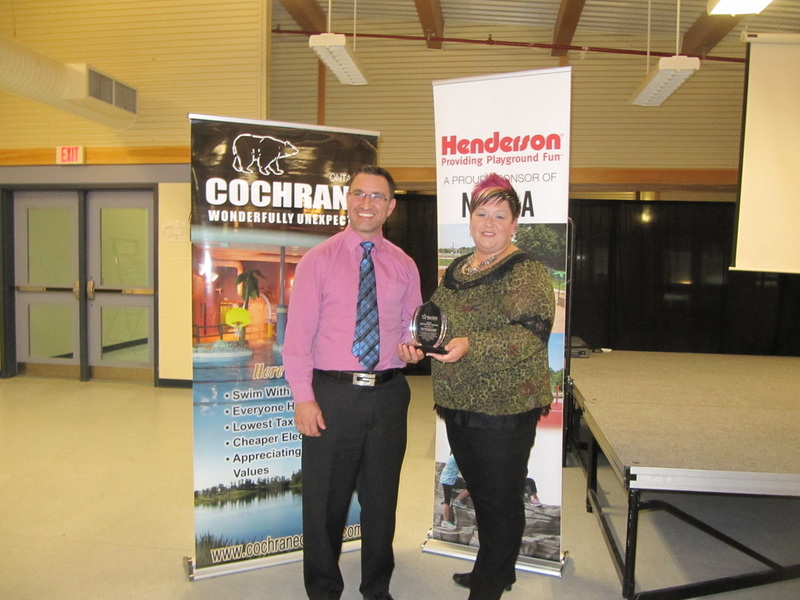 Cindy Dent (left) accepting the award on behalf of the Splash Pad Sub- Committee. 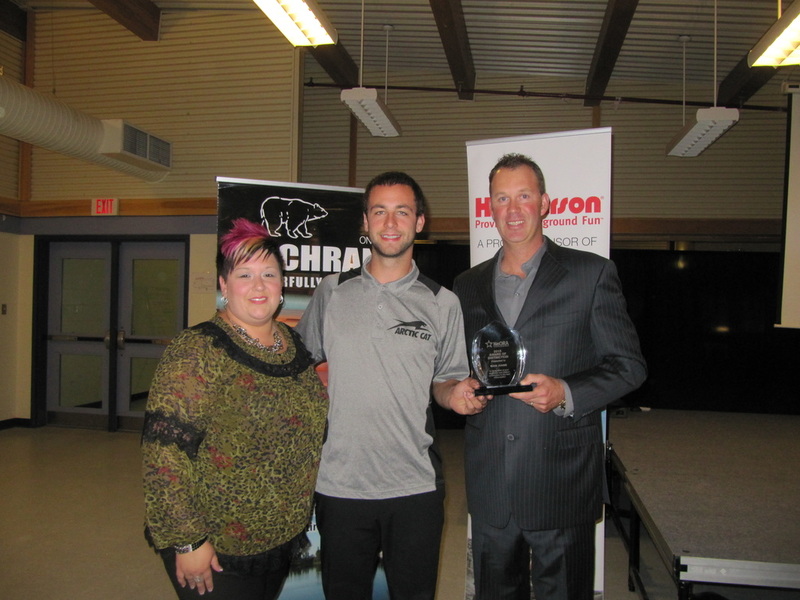 Terry Vachon (Left) accepting the Award on behalf of Angelo Paquette. Dave Joanis (Centre) accepting his Award of Distinction. 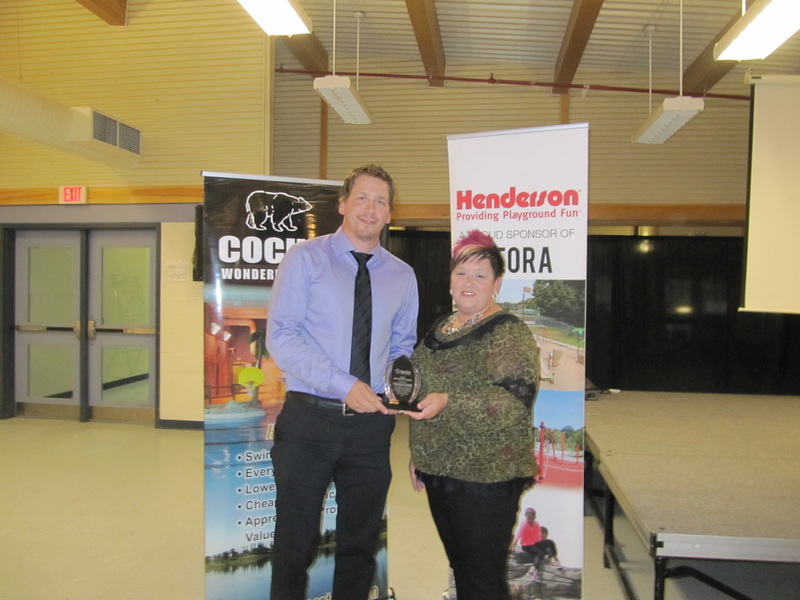 This year's President's Award recipient was Cindy Dent.